Campbells are traditional Scottish butchers and fishmongers, offering you the finest produce, but our stock doesn’t stop at meats and fish. Our team at our premises in Linlithgow are always looking out for new products to bring into the factory and we have to admit we love Scottish Cheese! 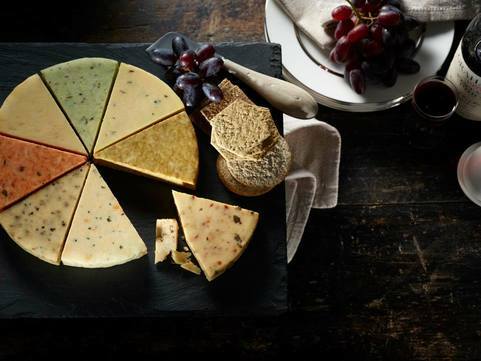 From the many flavours of Arran Cheese to the unmistakable flavour of Caboc, Scotland produces some of the tastiest cheeses around. 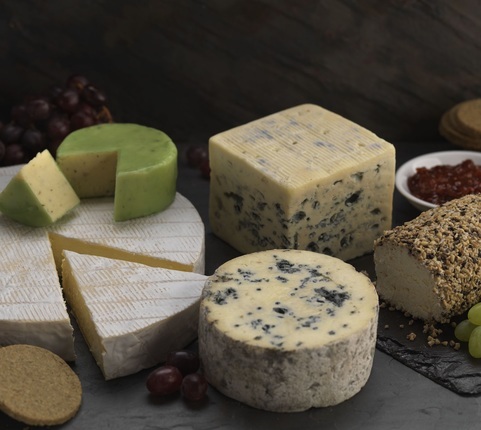 Not only do we have a great online variety of Scottish Cheese for you to purchase with your order today including a selection of Arran Cheeses, Highland Morangie Brie, Highland Black Crowdie and Highland Blue Murder, we also have a great range of Foreign Cheeses too, including the distinctive Danish Blue Cheese and Austrian Smoked Cheese. Campbells online butchers offer selection of delicious gourmet cheeses from Scotland and around the world. Christmas is just around the corner, but you needn’t panic! Campbells have you covered with our Christmas Hamper Cheeseboard, which contains a variety of the cheeses available in our online store, including some cheeseboard classics like Blue Stilton and Camembert. Christmas wouldn’t be right without a cheeseboard after Christmas Dinner. Buy your cheese online with Campbells online butchers and get it delivered direct to your door.